Also referred to as the pork fillet, the loin is a tender, lean cut that runs from the pig’s hip to the shoulder. As with beef loin cuts, this part of the animal works very little, so it contains very little tough muscle sinew. 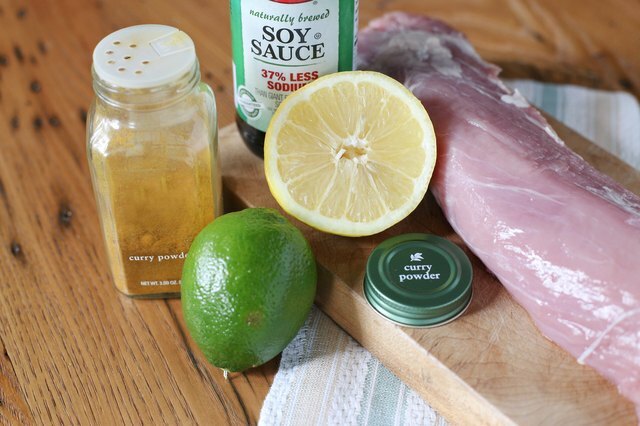 Accordingly, pork loin requires only perfunctory preparation and a relatively short cooking time, but yields succulent medallions that absorb strong flavors effortlessly. 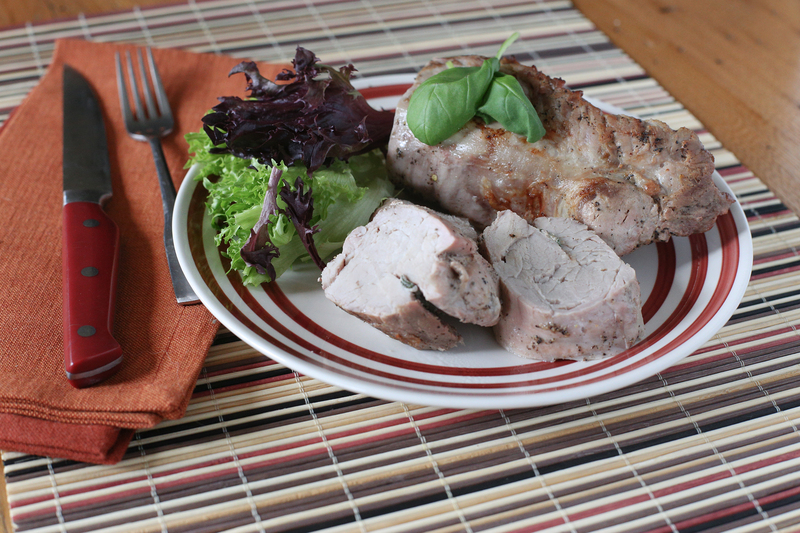 Novice cooks find pork loin easy to master, since it requires just a short session in the oven with a single turn halfway through. 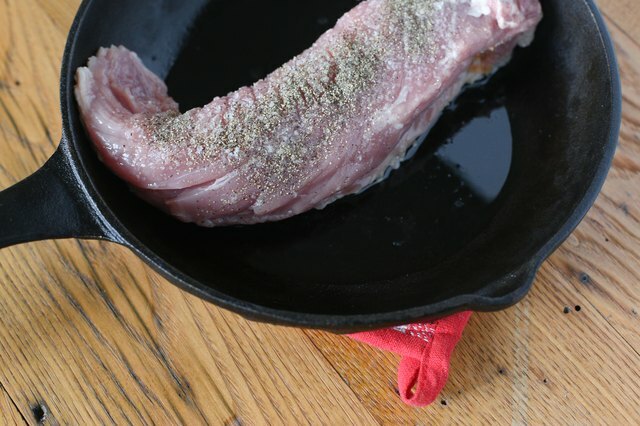 Unlike sturdier pork cuts such as shoulder, loin needs no brining or braising to soften it up, although a dry rub with salt, pepper and oil forms a pleasant crust. The main caveat is that loin’s leanness makes it easy to overcook and dry out, so a quick, hot roast is key. Lay the seasoned loin in a skillet heated in an oven at 450 degrees Fahrenheit and roast it for 20 minutes, turning it halfway through. As soon as the internal temperature reaches 145 degrees F, the loin can come out of the oven to rest for a few minutes. Slice the loin into medallions. The center may be pink, but following temperature guidelines takes care of any risks. By using both indirect and direct heat at the same time, cooking the loin in a covered gas grill brings out the best in the meat, and the lack of fat on the pork minimizes the risk of flareups and scorching. Fine Cooking recommends grilling it for seven minutes on one side, six minutes on the other, with five minutes' rest with the lid down and the gas off for a loin that is crisp on the outside but moist in the center. Cooks can reach for more intense flavors by first removing any silverskin on the meat and dry-rubbing the loin with curry powder, Chinese five-spice or chili flakes for heat, or marinating it for up to 24 hours in soy sauce, citrus juices or even beer for more adventurous flavors. In all cases, it is essential to let the loin rest after cooking and before slicing to redistribute the juices. Loin does not have to be roasted whole, but can be sliced instead into thin medallions, flattened slightly to increase surface area, and seasoned. Saute the medallions in butter for two to three minutes on each side, taking care not to crowd the pan, or the pork will steam rather than brown. The final flourish is to build a sauce with stock, cream and perhaps a spicy Marsala and to braise the medallions for just a couple of minutes. You can also pan-sear the whole loin first in a skillet, having patted the meat dry and rubbed it with salt, pepper and oil. The loin can then transfer to the oven while the pan residue is deglazed with wine and finished off with stock and butter for a light sauce. Stuffing a pork loin infuses it with flavor from the inside and counters any drying out, although a certain amount of finesse with a knife is required. With the loin flat on a chopping board, slice down the side along its length, starting from the thin tip and opening it out flat. 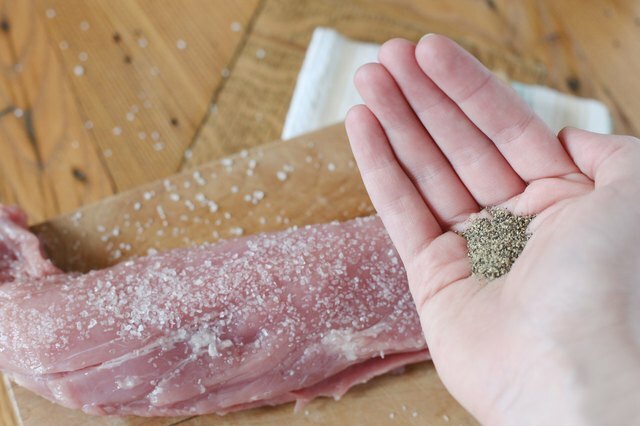 Herb stuffings give plenty of flavor, while nuts or breadcrumbs add texture; thin meat slices such as prosciutto also complement the pork well. Once stuffed, roll up the loin into its original shape and tie it closed along its length with kitchen string. Alternatively, if you're roasting it, make neat incisions along the length of the tenderloin and insert garlic and herbs and drizzle with oil and vinegar or citrus juice.